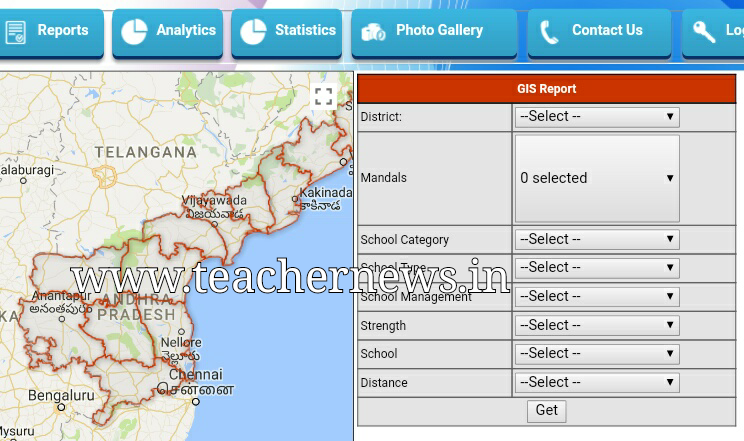 AP Teacher Transfers 2017 Geographical Information Systems(GIS) Distances between Schools Mandal wise Schools list Download, AP Teacher Transfers 2017 Geographical Information Systems Distances between Schools Primer/UP and High Schools Mandal wise list Download at cse.ap.cgg.gov.in, How to find nearby Schools AP Teacher Transfers 2017 Geographical Information Systems Distances between Schools by Primer/UP and High Schools location of your choosing and willing school at mandal wise list download at cse.ap.cgg.gov.in. How to find nearby Schools at Teacher Transfers time Location through Geographic Information System GIS which school where located, radius between schools in Mandals wise, Panchayat wise, School Category wise, School Type School Management Strength School Distance. AP Teacher Transfers time Schools list easily find out through GIS Geographic Information System and School Strength, Teacher Students Ratio , Nearby High Schools , How many Kilometers , who are want to Apply for Transfer's very useful GIS.